Help desk software enables customer support agents to receive, process, and respond to ticket requests. A great help desk is at the heart of great customer support. AzureDesk help desk software helps streamline customer support with time-saving tools like triggers and automations. And it’s intuitive, built with the experience of customer service and support desk agents in mind. AzureDesk is a help-desk-software that caters to all the businesses. AzureDesk is also a very practical & economical solution for help desk software. Communication/Third Party Integration – The most important aspect for any help-desk-software is to have a good communication flow. AzureDesk as a help desk software displays all the conversations between Agents & Customers, Agents within team members, Replies from Customers & communication with Dev team (if using JIRA & its integration) as comment logs. So it easier to see all the communication as one place. Besides that AzureDesk also provides a wide range of Third Party Integrations with popular software’s available in the market. So if any customer using other software & wanna integrate with AzureDesk we make it possible. Never miss a Customer – AzureDesk is a help-desk-software where you will never miss a customer & it is obviously important to not to miss one. AzureDesk helps to track customers in different ways. 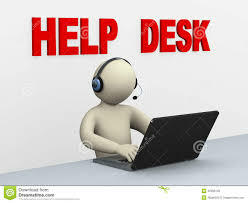 AzureDesk is the only help-desk-software where there is no tier pricing. All the above said features & many more are available at one flat price of 5$ per user. Try AzureDesk for 14 days free trial!